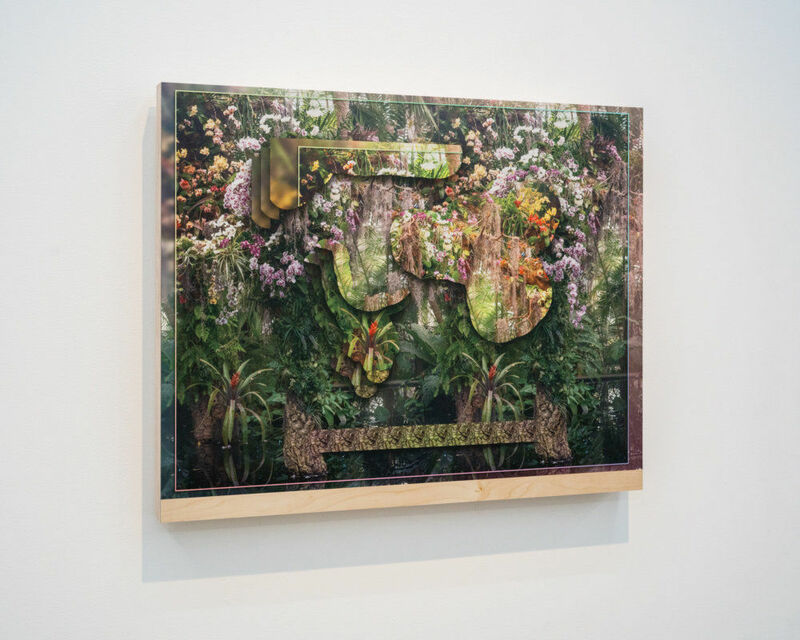 No Lemon, No Melon is a group exhibition featuring three works by Mark Dorf. The exhibition is on display at Flowers Gallery in New York City from 27 July to 2 September 2017. Eight artists from around the world present works which use layering and mirroring to create discussion around structures and patterns in the contemporary world. The exhibition includes three works from the Transposition series by Dorf. The series was first commissioned for Fotograf Festival in Prague in late 2016 and has more recently been exhibited at Postmasters Gallery, New York. The work addresses the human tendency to use opposition in order to categorise and discretise. Through photography, installation and sculpture Transposition explores existing binaries - between nature and the artificial, digital and physical, order and chaos - as a spectrum rather than as the opposition of discrete entities. For the exhibition at Flowers Gallery prints and sculptures from Transposition are shown alongside work by Scarlett Hooft Graafland, Nicolas K Feldmeyer, Karilee Fuglem, Tom Lovelace, Colette Robbins, Derrick Velasquez and Sun Yue. No Lemon, No Melon takes place at Flowers Gallery, 529 West 20th Street, New York, NY 10011, US from 27 July - 2 September 2017.